The last thing you want as a mom is to spend years or months of your precious time building a blog that will never make you money. You may have read several posts addressing how to make money blogging but the numbers they share all seem so unreachable. 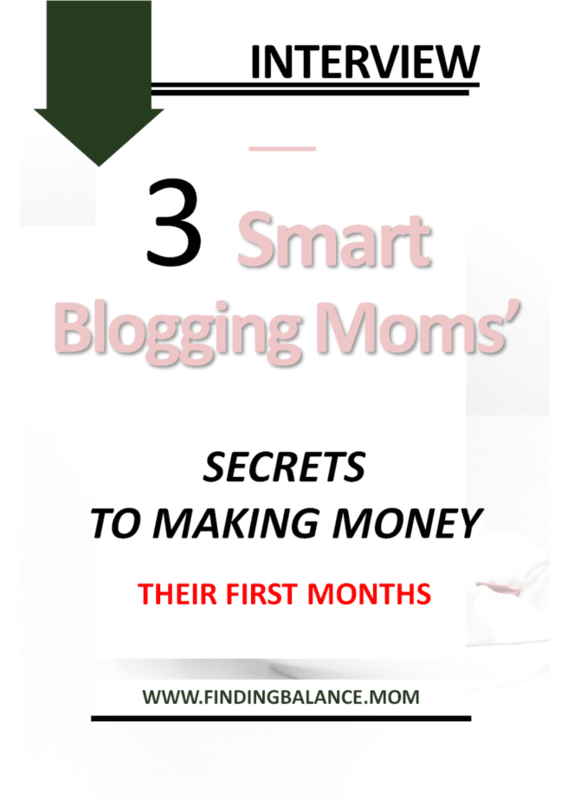 All you really want as a new blogging mom is some reassurance that yes, you can make money blogging. And you can do it from the beginning, not in 3 years because who has the time! Complete newbie on a quest to find out how bloggers make money and if it’s a good fit for you? Let’s get the nagging questions out of the way first. Otherwise skip to the meat of the post. Do bloggers make money, for real? So how do you start a blog and make money, real money not change? Of course! The amount itself is in a very wide range with some making as little as a few cents and some like Rosemarie Groner of busybugdeter as much as $100,000+ per month. The real question is can YOU make money blogging? Do you have the right attitude, information and the right niche? You can find more about blogger earnings and how they make them in my profitable blogging niches blog post. Basically how much money you can make blogging depends somewhat on the niche you choose enter. The 3 main ways to make money blogging are through display advertisements; ad networks like google adsense, MediaNet pay you to rent your blog space. This is my new favorite ad network for new bloggers. Affiliate marketing; you get commission on sales for a product you recommend, and products. Most moms swear by this monetization strategy because it’s fast and probably the least stressful method there is. There are numerous free and paid products to help you get started. I recommend this interview with an affiliate marketing expert for affiliate marketing tips you can implement. Other ways to make money off a blog include sponsored posts; where a brand pays you to talk about their product, offering services. The monetization potential of a blog is virtually endless. I’ve seen some people get coveted job offers, or book deals because of their blogs! To define monetize in terms of blogging is pretty simple, treating your blog as a business that’s meant to make money! The difference between a hobby blog and a business blog is monetization. When most people think of starting a blog and how to make money blogging the first monetization tactic, the only one sometimes, that comes to mind is making money from ads. However it quickly becomes clear that blogging for money isn’t quite as simple as that. If you want to make money posting ads sure that’s great! It’s a good passive way to monetize traffic. Just know that for the first few months you’ll only make change. All this talk about making money blogging and google adsense and selling products… How do you get paid as a blogger? You know the real cash not the numbers you see on screen. Totally legit question! Most payments are made through paypal, cheques, sometimes gift cards, and sometimes bloggers get paid with products. I got to test a $120 worth software in exchange for a review if I loved it my first month of this blog. Choose one of the blog ideas that make money to blog about. Buy reliable hosting and set up your blog. Decide your monetization strategy (do you want to make money with ads? If yes know that you’ll need thousands of pageviews to see any reasonable income. What other ways to make money will you use?). Post great content that attracts readership. ER Nurse Sherri started a blog about side hustles and offered her pin design, proofreading and pinterest services from the beginning. The mama of two had been freelancing since 2013 and decided to start sharing tips and resources for other moms to start making money online through side hustles. 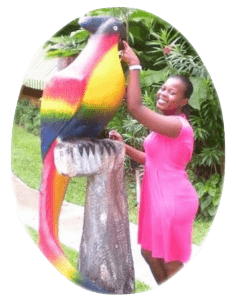 Read on to learn how she started making money immediately. How did you make money as a new blogger? I made money mostly from offering services. How long had you been blogging for when you started making money? I started making money in my first 3 months. I made just over $1,200 from side hustles (services) in the first 6 months. What service did you offer? My services include Pin Design for Pinterest, Pinterest Business Account Setup and Management and Freelance Writing Services. How did you decide what to charge? I decided what to charge based on the average cost of the same or similar services and my level (intermediate) of experience. What would you attribute your early success to? I’d attribute my success to a few things namely being open minded and willing to learn, taking chances and investing in 2 online courses for bloggers. What was your unique selling point? My selling point is being authentic and delivering value. I’ll tell my clients right there and then if what they are asking is outside my scope of expertise. Was it your first blog? This was my first “real” blog. I had a domain before and a site set up but I had no idea what I was doing and that lasted about 3 months. How did you find your clients? Did you reach out? Some have reached out to me via my Pinterest Pin linked to my work with me page but most are vis direct contact. It’s funny. I get the least traffic but better conversion from Facebook. Most of my traffic is from Pinterest. Be authentic and promote your services. People can’t find you if you don’t place yourself in front of them so market yourself every chance you get. Some ideas. Market yourself in facebook groups (Join mine) and get my free blog plan which includes a link to where to find the best facebook groups for bloggers. 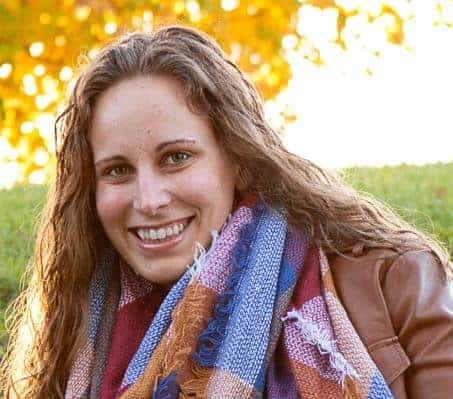 Alyssa is a pediatric nurse practitioner blogging about pregnancy and parenting. She aims to eliminate overwhelm for new and soon to be mamas with her blog. Here’s how she made money when her blog was new. I made money through affiliate marketing. I contacted a small company that I love and became an affiliate for them. I started making money my first month. By my 2nd month, I had made the first $100. When did you make your first dollar? I think having 20 posts up before I went live was helpful because I already had a good amount of content to constantly promote. Then choosing a product I really love and previously purchased for my own child was the biggest thing. I could easily talk about how much I loved the product and that came through in my writing. I honestly think just being completely real about my experience with the product was what made people gravitate to it. Yes, it’s my first blog. Did you do anything special to promote your posts? At the beginning of month two I was offered a trial of a Facebook ad and decided to use it. I used the ad for my post about my affiliate product which definitely increased the number of people that saw the information I shared about the product. What social network would you credit for your conversion (not traffic)? Do you think your strategy is scalable? What would you do differently? Affiliate marketing has definitely been scalable for me. I love working as an affiliate for smaller companies. So far, this has been very successful. But now that my page views have increased, I’ll be adding ads to my strategy as well to diversify. Don’t be afraid to contact brands you love no matter how small you are. Keep a content bank of lots of posts before you go live. Learn how to do affiliate marketing correctly. This is not going to be an interview since it’s my personal experience and as much as I love the thought of having my smiling face up in the middle of this page, it’s not going to cut it. But what I’m sharing is just as valuable, a case study. A great way to monetize a blog without ads is through selling products you create yourself. Even before I set up this blog, I knew I wanted to go the product route so I created a $25 product to start testing. The product I talk about is not a ‘how to blog’ product mind you but it serves a need online entrepreneurs have. Pinterest Pin Templates design that stand out and drive more traffic to their websites. Lesson 1: serve a need that your ideal audience is interested in. My first mini products were pin templates that netted $55 that first month with just over a thousand pageviews. Don’t judge. I launched with 5 posts and ended the month with 7! I also had technical issues which made it impossible to pin from my site so while my pins brought in 100 daily viewers in the first week, pinterest killed them because people did not pin from my blog back to pinterest (they probably thought it was trash). My stats for that month. 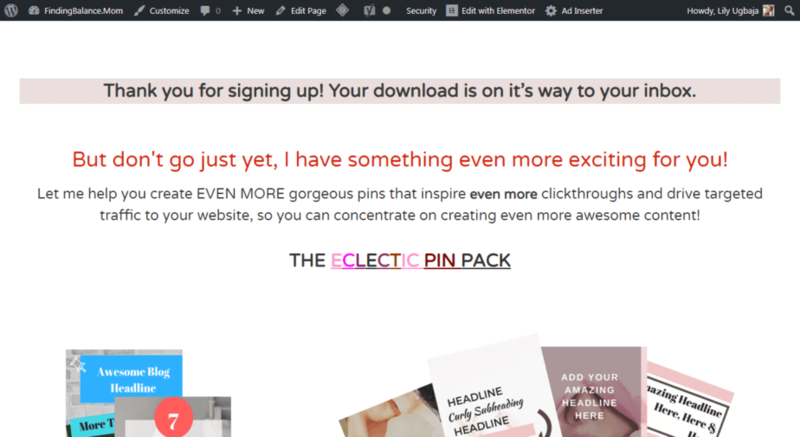 I took 7 of the pin templates and made them a free download (get them here). Then I set up a tripwire so that when someone downloaded the pins, they were redirected to a limited time offer with a huge discount on the rest of the pack. This is what it looks like. For email integration and to deliver the free pins to those that didn’t buy, I used Convertkit (free trial). UPDATE: I now use Mailerlite and they are just as awesome except there’s a small workaround with delivering files on click. I also used the Evergreen Countdown Timer (free wp plugin) to create urgency. What I loved most about this approach was that I was able to build my list and income at the same time and I had people thanking me for being generous with my offer too! 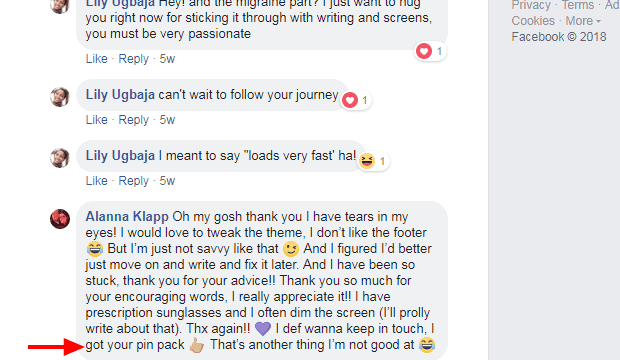 Few hours after I set up my tripwire, this was around my 14th day blogging or so, I was in a facebook group and happened to encourage someone and share some tips. Because of this she went to check out my blog, sign up for the free templates and ultimately buy the rest of the pack at the sale price of $7. Why did she even though she knew my blog was brand new? Trust. She had come to trust me for giving without asking anything in return and she remains one of my most loyal followers even today. See our conversation below. Like with most other bloggers, I found that conversion was better with facebook than pinterest. In that first month I only made 1 sale from pinterest. It’s possible that this is only true for newer blogs, I’m still testing this theory. The 2nd thing I learnt is that with products or affiliate marketing (just a few select products please) an email list is gold! When people are able to connect one on one with you, they buy from you. We buy people not products. It may not be easy to make money with a new blog, and sometimes you shouldn’t even strive for that in the first month, but it’s completely doable. You can pretty much sell anything! But. Whether you make money blogging or not depends first on the blogging niche you choose. Here are 9 profitable blogging niches to choose from. Honesty and authenticity are your most valuable assets. This is what will sell whatever you choose to promote. Have clear call to actions. Let everything you do encourage people to take that one action you want them to take. Focus on products you love. Your passion will carry through. Make it easy for your readers to do whatever it is you need them to do. Be helpful first, ask next. Want to get started with amazon affiliate marketing? The easiest way to passively monetize traffic to a new blog. Here’s a great affiliate marketing guide you don’t have to break bank for. If you found this post helpful I’ll appreciate you sharing it or leaving a comment even if just to suggest some improvements. You rock, thanks! True words, Lily. It takes time for a new blog to become popular and that’s totally perfect. I found that to be the most important key in whatever I do. It also helps encourage the readers you get through to promote you for free thereby slowly creating an army of genuine promoters. Thanks Kay, glad to help. Thank you for such great post and information. I would like to ask you about something that you discussed in the article, affiliate marketing. I am a blogger myself and it’s been over a year that i got fully engaged with my content and built nice followings and traffic and that helped me a lot earn a little through adsense but it is not cutting it. Any suggestions or recommendations are welcomed. Hey Matt! Thanks for stopping by. I’m not sure I quite understand your question 🙂 do you mean 100% commission on sales like all the profit? I’m not sure what the company stands to gain from an affiliate marketing program like that. If you need to join affiliate marketing networks but don’t know where to start, I recommend checking out this list of affiliate marketing programs for bloggers. The sweet thing is that you may be a beginner with affiliate marketing but if you already have a somewhat established blog, you’ll be accepted. in fact, those affiliate marketing networks I shared with you accept brand new bloggers too, you just have to prove that you’ll be worth their time. As a new blogger attempting to monetize, I found this to be very helpful. The tripwire has definitely converted me in the past. Once I became a blogger I always wondered how they created that!